Funeral services for Mrs. Rosa Marie Watson Brehm will be 2:00 P.M. Wednesday, April 11, 2018, at Ligon & Bobo Funeral Home with Dale Hauskin officiating. Interment will follow at Conatser Cemetery. Nephews and friends will serve as pallbearers. Visitation Tuesday 2-8 PM and Wednesday after 12 Noon at Ligon & Bobo. Mrs. Brehm, age 95 of Lebanon passed away Saturday, April 7, 2018, at her home. 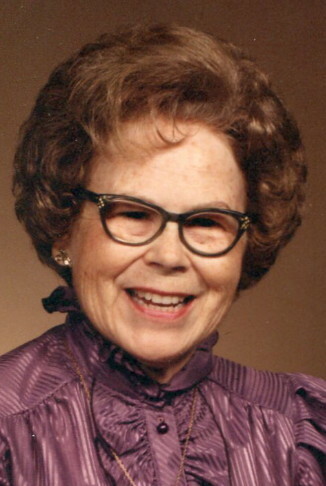 Born December 8, 1922, in Wilson County, she is the daughter of the late Darden T. and Rosa Hester Watson. She was a homemaker and one of Jehovah’s Witnesses. She was one feisty lady that loved traveling. She also loved reading newspapers and stuffed animals, watching old movies, John Wayne, Elvis, listening to country music, and Hank Snow and Eddie Stubbs. In addition to her parents, she was preceded in death by her husband, James “Jimmy” Brehm; son, Michael Alton Brehm; sisters, Georgia Bates, Helen Watson, Margaret Jocelyn, and Nell Crutcher; brothers, Ellis, William Allen and Franklin Watson; step son, Tracy Brehm; step daughter, Mathey Wilson; nephew, Roland Crutcher; niece, Donna Crutcher; and an infant niece, Doris Gail Bates. Survived by nieces, Carmen (Ted) Williams, Faye (David) Williams, Brenda (Louis) Myrick, Pat (William) Carmack, Pam (Gerald) Chastain, Sherry (Mike) Ashey, and Teresa (Toby) Wallace; nephew, William (Regina) Crutcher; sister in law, Marilyn Watson; step daughter, Clara Hair; and two step sons, Sam Brehm and Johnny Brehm.